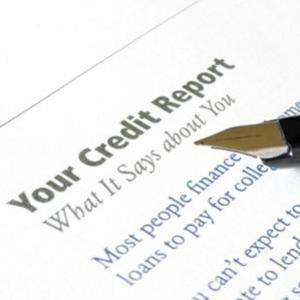 Is it important to get credit reports from all 3 credit bureaus? For those of you who do not know, there are three major credit reporting agencies which are Experian, TransUnion and Equifax. For those of you who do not know, there are three major credit reporting agencies which are Experian, TransUnion and Equifax. Each one of these companies gather your credit information and history then combine it into a report, which is where your credit score is derived from. All three of these bureaus use the FICO scoring method that is the most widely known and used scoring system. The higher this particular score is, the lower risk you are to a lender therefore opening many opportunities to be approved for the various types of loans that are available. Now that you know that there are three different credit bureaus, you may be wondering if they are different or not. Each credit bureau does the same thing but that does not mean that the credit score given by each bureau will be the same. It is important to order your 3 bureau credit reports when you are trying to find out your true credit score. Some agencies may not have the most current and up to date information (personal and account information). Just because one credit bureau has your correct information does not necessarily mean that all three do. Another reason there is such a difference in reported credit scores is that there are many variations of the FICO scoring system. FICO has a different scoring system for the various types of loans that are out there. An auto loan will not be calculated and weigh the same on a credit report as a home loan does. All 3 scores from the various bureaus will vary. So when you are trying to get your credit score, it is suggested to check all three scores. You should monitor your score throughout the year. If you are going to be applying for loans, you should know the same information that the lenders do before applying; there is no reason to be left in the dark when it comes to your own credit. There may be discrepancies between the 3 bureau reports. This is a perfect opportunity to update all of your information, as well as, remove accounts that are no longer open and dispute any issues that you see. When you pull your credit reports, it is suggested to try to make them all the same the best you can, this will ensure that your score is correct and then you can work on improving your credit standing. There may be an old open account from one bureau that is doing unknown damage. Credit monitoring as a whole has increased tremendously over the past decade most likely due to the fact that more people are conducting business online. With this, identity theft and credit fraud have skyrocketed therefore opening up the door for credit monitoring services. With these services, one can get report access as well as notifications if there is any suspicious activity going on. There are a wide variety of credit monitoring services offered; each one varies in what it can offer the consumer. This is by far the best line of defense against identity theft, you can receive real time notifications and rather than just periodically pulling your credit, you have 24/7 access to what is going on behind the scenes. Along with these notifications for fraudulent activity, there are added benefits such as reminders of when your bills are due and what amount need to be paid. Overall, even the best credit monitoring services are only as good as you allow them to be. Credit monitoring is wonderful when you remain up to date with all of your information and do your part in maintaining your credit, but the most important thing to remember is to do your part. Credit cannot just be left alone and forgotten about in hopes of it repairing itself. Furthermore, credit should never be a scary subject for anyone; equipping yourself with the knowledge of what credit is and how to maintain it should ease your mind. Page loaded in 0.300 seconds.